One Common Unity breaks cycles of violence and builds compassionate communities through music, art and peace education. Washington, D.C. (Jan. 21, 2019) Hawah Kasat, co-founder and executive director of Washington D.C nonprofit One Common Unity, was chosen as Georgetown’s 2019 John Thompson Jr. Legacy of a Dream Award recipient. He was honored on Jan. 21, Martin Luther King Jr. Day, at the university’s Let Freedom Ring! celebration held at the Kennedy Center for the Performing Arts. The award, which started in 2003, was named for the legendary Georgetown head basketball coach emeritus, Washington, D.C. native, mentor, advocate and community leader – John Thompson Jr. Previous recipients were civil rights icons, children’s rights advocates and other humanitarians. In 2012, Georgetown began awarding local leaders who are working to solve key issues that are responsible for shaping Washington, D.C. and the people who live in it. Georgetown chose Kasat as the 2019 awardee “because of his commitment to service and transformational change, which exemplifies King’s spirit and enduring legacy.” The award, part of Georgetown’s commitment to helping solve key issues in the city, provides a year of sustained partnership and broader recognition for the organization and its leader. Kasat co-founded One Common Unity on a shoestring budget in 2000. He decided to launch what he considered his “passion project” after a string of school shootings in DC. In 2008, the project became a full-time job, and today, One Common Unity now employs seven full-time and 13 part-time employees and about 20 volunteers. One Common Unity collaborates with thousands of educators, artists, health practitioners, youth and families in Washington, DC to break cycles of violence and build compassionate communities through music, art and peace education. Each school year, One Community Unity engages close to 5,000 youth, age 11 to 18, at fifteen Washington D.C. public schools with its Fly By Light program. Most Fly By Light students come from low-to-moderate-income families and more than 95 percent are African American or Hispanic. These youth face issues with chronic depression, substance abuse, previous incarceration, domestic violence and trauma, and discrimination based on race, gender identity, and sexual orientation. Many are also facing school truancy, suspension, and expulsion. Building upon youth’s incredible resilience, One Common Unity provides safe, supportive spaces where youth discover their authentic selves, connect with nature, and are equipped with the skills, tools, and support to disrupt cycles of violence and poverty. Today, the organization has engaged more than 25,000 youth, families, teachers, and community members in One Common Unity’s high impact art and music programs. 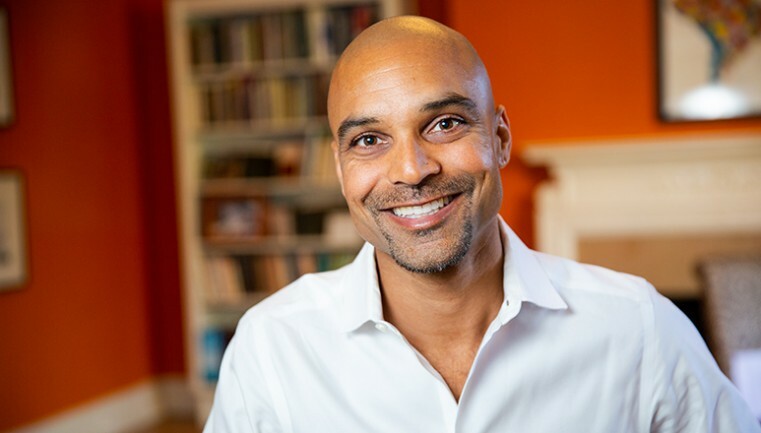 Kasat, who will start the Nonprofit Executive Management Certificate program at Georgetown’s McCourt School of Public Policy in Feb. 2019, is also the author of four books, has released two music albums, and produced three documentary films, including the award-winning documentary Fly By Light. In addition, Kasat has traveled to more than 42 countries to facilitate interactive workshops, host dialogues, perform poetry, teach yoga and speak with those interested in creating a caring, sustainable, and equitable world. To learn more about Kasat and Once Common Unity, visit OneCommonUnity.org. One Common Unity is a nonprofit organization, located in in Washington, D.C., that breaks cycles of violence and builds compassionate, healthy communities through the transformative power of music, arts, and peace education. For more information, visit OneCommonUnity.org.